Morecambe Music Festival kicks off next weekend with almost double the number of venues as last year. There will also be ‘kids’ zones’ at this year’s festival, giving families a chance to enjoy live music in child friendly environments. Stuart Michaels, festival organiser, is again urging people to support the event, which takes place on Saturday and Sunday, July 15 and 16. 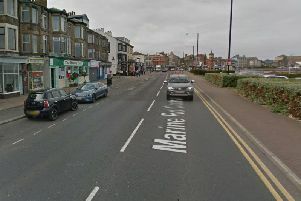 The festival, now in its second year, spans 30 venues between The George, in Torrisholme, and The Duke of Rothesay, in Heysham, with the majority of the action taking place in central Morecambe. This year will also include the Morecambe Music Festival Academy at The Cumberland View, where budding musicians will be given a platform to share their music, some for the very first time. Stuart said: “This is for people who have never sung or played in front of an audience before, and will give them a chance to get some experience and encourage the next generation of singers. “It’s also for people who are a bit older who’d like to try something new. The Trimpell Club and Regent Park will host family friendly live music events, with bouncy castles for the kids. At Regent Park, for example, there will be two performances on Saturday - Danny Liptrott at 12pm, and Jono Peatman at 4pm, and two on Sunday with Corvidae at 1pm and Jamie Walker at 4pm. Stuart said: “The festival is put on for the people, and we’re encouraging everyone to come out and enjoy it. The range of live music covers acoustic, blues, indie, rock, ska, folk, funk, rockabilly, soul and motown, and even a Meatloaf Tribute. For more information visit www.morecambemusicfestival.uk.